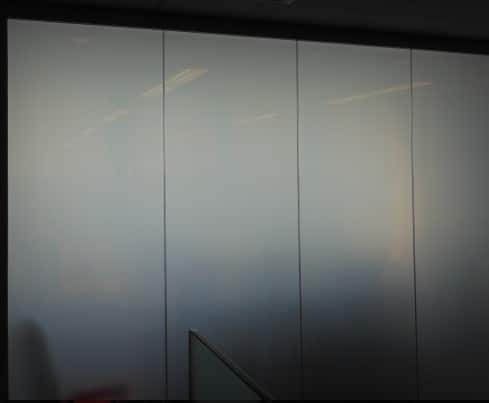 For this application our electronic eGlass brand LC Privacy Glass was integrated into a sleek Dorma system, complete with Sliding Doors, in several of their Conference Rooms, Offices & Executive Boardrooms. 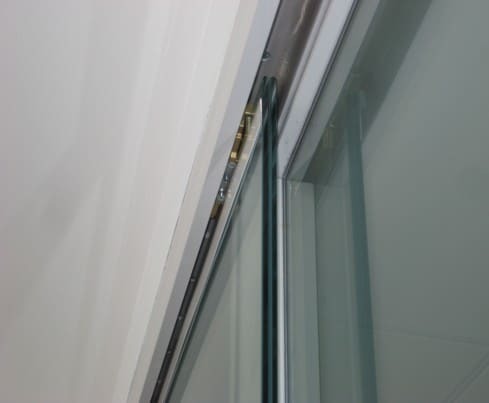 Using our own proprietary wiring system, all wiring for the sliding door panels were neatly concealed without sacrificing the functionality of the wall system. By incorporating the option of instantly switchable privacy into their sliding doors, the Architect created a dynamic environment where the Client can choose to either maintain an open feel throughout the office, or to have a private and secure environment on demand. 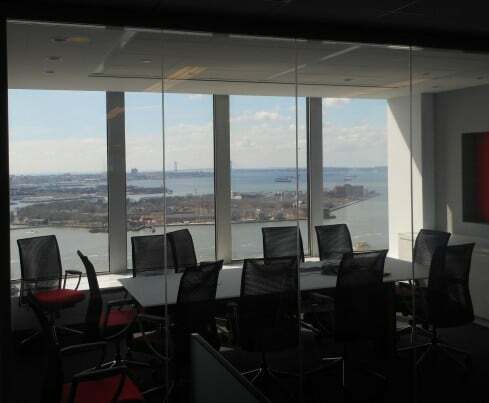 This is all done without blocking the flow of natural daylight into and throughout the space, or blocking the spectacular water view from the rest of the office.